Jul 1st - Well, I'm half way through the year and still looking for a break. I've had a few near misses in the first six months, so lets hope that the next six months bring a little more luck my way. Jul 2nd - Signed up on a few new internet message boards. I figure that the more places I am on the net, the better chance I have of getting my music heard. I found some boards which are made up of people who like commercial dance, trance, scouse house etc. so I've joined up, introduced myself, got involved with a few topics and left a link to my music. Jul 3rd - Worked some more on the new track I started. I find the hardest part of making a new song is writing lyrics for it and I usually end up just putting any old words that fit the melody of the track rather than anything deep and meaningful. The music side to it is coming along nicely and this time, I'm aiming to write a fairly serious song rather than a happy track. Jul 4th - Continued to work some more on the new track. Once again, I'll ask Cami to sing on it when it's finished. I just need to think of a few words for it. Started to burn a few more CDs to give to my street team and also for Darren Stone, the DJ based in Kent, to play. Jul 5th - Invited to sign my music up to a new website. I think I'll check out the small print on the Terms & Conditions though before I sign up as there seems to be a lot of rules. However, if I agree with them, I'll probably sign up, as it will be another outlet for my music. Jul 6th - Still waiting to hear anything from the record company I mailed Arctic Dawn away to last week. I know they said it could take 14 days but I was hoping to have heard something by now. More often than not, if a label doesn't like your music, they don't even reply to your demo. Ah well, I've another week to go yet. Jul 7th - Finished making all the rest of the CDs to send out to my street team/DJs etc. I just need to buy a few Jiffy bags and stamps and mail them out. I hope they get a similar reaction to the last time I mailed a load out. It costs me a bit of money to do this but hopefully, it should get my music out to a large audience. Jul 8th - Discovered that a good friend of mine Paradise Decay has downloaded a few of my samples from this site and turned them into a track. He has recently been awarded a contract to write 10 songs for a forthcoming racing game and hopefully, the games company will like the track he made with my samples. Jul 9th - Asked by Paradise Decay to amend a couple of the samples as he's slowed them down to 126bpm and the timestretch has distorted them slightly. I'll make a few versions and upload them for him to pick the ones he likes best. Jul 10th - Amended the samples so they run at 126bpm. I've also done them in a variety of sounds so he can pick the one that is ideal for his track. He let me have a sneak preview of the track and it sounds great so far. Novadrome - A futuristic racing game that may feature a track made with some of my samples. Jul 11th - Discovered a little more about the computer game. 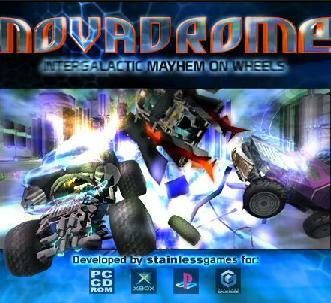 It's a futuristic racing game called Novadrome and Grahame (Paradise Decay) has been asked to write 10 songs for the game and 1 bonus track. The bonus track is the one that uses my samples, so with any luck, it may even be featured in the game itself. Jul 12th - Was sent a new remix of How Many Times. This one is by Nathan D and is a great "hands in the air" trance anthem. That's about 4 remixes I have of this track. It's just a shame I can't get it signed. Ah well. Jul 13th - Well it's took me a week but I'm now in possession of a load of demo CDs to send out to my street team, Darren Stone (the DJ from Kent) and a few others who may be able to get my music played to a large audience. I've put about 15 tracks on the CD including some of my unofficial remixes, as it's the only way they are likely to be heard in a club (unless someone burns a disc of the unofficial remix mp3s from this site). I'll get them in the post at the weekend. Jul 14th - Decided to join a website called Taxi. It's similar to the old Tonos site that I used to be a member of before it closed down. I had a look at it a few months ago but it seemed mostly aimed at the US musician and especially country music. I checked it out again after Cami told me that she was a member there and it appears that the dance opportunities have increased. I've signed up for a year, so I'll see how it goes. My tracks were released after an A&R scout heard them on Tonos, so hopefully, Taxi will bring me the same luck. JCPenney - Rainbow Chaser is to feature on a promotional CD that they are giving out to their customers! Jul 15th - Signed up for Taxi and received a confirmation email. They are sending me a welcome pack via airmail. I was having a read of the industry opportunities there and there's hundreds of them, so I'll have a closer look when I get chance, as I'm sure there's some that will suit me. Jul 16th - Have any of my American readers heard of JCPenney? They are a large chain of department stores based in the U.S. I was sent an email from a promotional company on their behalf, asking if they could use Rainbow Chaser on a CD to supply to the stores. Apparently, any customers who buy clothes from their Back to School range will get a free copy of this CD containing coupons, games and other items. Rainbow Chaser will be used as background music for the CD. I've agreed that they may use my music. Jul 17th - Received an email from a guy who runs a hard dance night at Cleethorpes (an east coast, seaside town in the U.K.), looking for a Trance DJ to go on first. I'm regretting not practising more now back in January as I don't think I have the skills to do this. My DJ experience in the past has been with a couple of CD changers and even then, I hardly did any mixing. It's a shame because this would have put me a lot more in the public eye. I certainly don't intend to bluff my way through this, as people will get a bad impression of me and whenever they hear the name Square Bear, they'll think, "Oh yeah, I know him. He was that DJ in Cleethorpes who mixed about as well as oil and water!" Not exactly the kind of reaction I'm looking for. I was always told that if you're not 100% ready to play live, don't do it, as it will cause severe damage to your career. I don't think that the clubbers of Cleethorpes will appreciate me fumbling around with a CD mixer when they've paid good money to hear a decent DJ, so I'm going to have to turn his offer down. Jul 18th - A big hello to Overdox, who regularly visits the site. He rang me up from a party to tell me that the DJ was playing Run Away. I guess there must still be some mileage in the tune. Thanks for that. Jul 19th - Found out that the representative from JCPenney discovered my music from a message board I'm a member of. Have you seen any of the games I've made on the fun + games page? I post on a message board that's made up of people who make similar things. One section of the boards is dedicated to music and so I post in there quite a lot, as you can imagine. Apparently he discovered me from there. Jul 20th - I discovered a website where I can upload loops of my music for people to judge and download them for their own projects. I've decided to make a few and upload them. Hopefully, they'll get a good reaction. It's similar to the samples section on this site but with musical loops rather than just one instrument. Maybe, someone will notice me there. Hope so! Jul 21st - Well I uploaded a couple of samples to that site and they got rejected! Fortunately, it was just an error in their upload script rather than any quality control issues, so I'll try again another day. 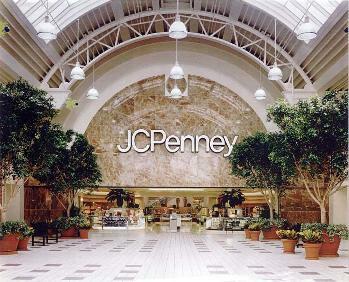 I've not heard any more about the JCPenney CD, so hopefully everything is going smoothly with it. Jul 22nd - JCPenney's Back To School range is now online. It's mostly school clothes but there are things like maths sets, stationery and sports kit. It seems a little cruel to me to be reminding children that they'll soon be going back to school, especially as they've only just broke up for the summer holidays. Anyway, this hopefully means that the promotional CD featuring Rainbow Chaser that they are giving away with any clothes purchase is now ready. Jul 23rd - Received my member's kit from Taxi today. It's got loads of industry opportunities and quite a few of them are in the dance/trance category. I'll have a good look through them and see which ones suit my music. Fortunately, they now allow online submissions rather than the old way of having to mail a CD over to them in the USA. This will save me a lot of money in postage. One thing I did notice was there are a lot of opportunities looking for music to place in TV and films. It would be a good buzz to have my music featured in a film soundtrack. Imagine you're sat in the cinema watching a film and your music starts to play. It would be great. I'd be tempted to stand up and shout, "Hey, that's me!" The manager would probably throw me out but it would be worth it! Jul 24th - Signed up on a couple of new music sites. I've uploaded some of my music, a picture and my biog. As I keep saying, you cannot promote yourself enough in this game. However, there's a fine line between advertising and spamming people. One message board I'm a member of has loads of members who post "Listen to my music" again and again. I don't know about you, but that would put me off listening to them at all. Just a simple message introducing themselves and a link to their music would get a much better response. Jul 26th - Received an email from a representative of UV Magazine. This is a free magazine with a readership of 100,000 people nationally and is posted to more than 1,000 radio, TV, club DJs and record companies. They are looking for music to feature in the magazine and on their covermounted CD. This would be great publicity. I've said I'm interested and am waiting for their response. Jul 27th - Hmmm... I thought it was too good to be true. It appears that I need to pay them a fee to appear on the magazine and cover disc. However, if it's going to be sent to all the radio stations in the country and in front of 100,000 people, I'm tempted to go for it. I wouldn't be able to afford that sort of promotion and press coverage by myself and this may still be a good opportunity. They say that they will review the track in the magazine as well as including a photo and a biog. I think I'll probably agree to this. Jul 28th - I've told them that I'm interested and they've come back with a few more details. I just need them to clear a few more things up and I think I'll agree to their terms. It should be great publicity even though it will cost me a bit of money. Jul 29th - Last week I was asked if I wanted to be interviewed for www.mp3unsigned.com. I said yes but I haven't filled the interview sheet in yet. I must do that over the weekend otherwise they will be choosing somebody else. Jul 30th - Made a start on the interview sheet I was sent. I'd best choose my responses carefully to the questions otherwise I'll look pretty foolish. I was interviewed for an American magazine earlier in the year, but unfortunately, I don't think it made it to the newsstands. Jul 31st - Received an email from DJ Hoyt of Austin, Texas. He wanted to know where he could buy my music, as I make the sort of trance that he plays out at his gigs. I could do to get my CD for sale on the net somewhere. I've heard of a company called Cdbaby, so I'll have to check them out. For now though, I'll probably post him a free copy of it. He also asked if he could host my music video on his site for his visitors to watch. Apparently, his site gets 1600 visitors a day, so once again, it would make my music accessible to a larger audience.